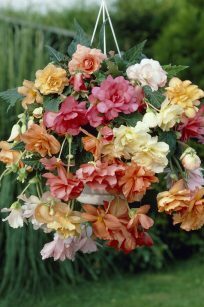 Begonias are best when they are started indoors in pots. 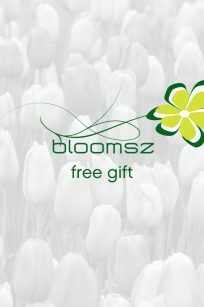 About 6 weeks before the last frost is expected in your area, plant the tubers round side down about 1” below the surface of potting soil. Water well when planting, then keep the soil moist but not wet. Place the pot in a warm, semi-shady area. When all danger of frost has passed, it’s time to place the Begonias outdoors. 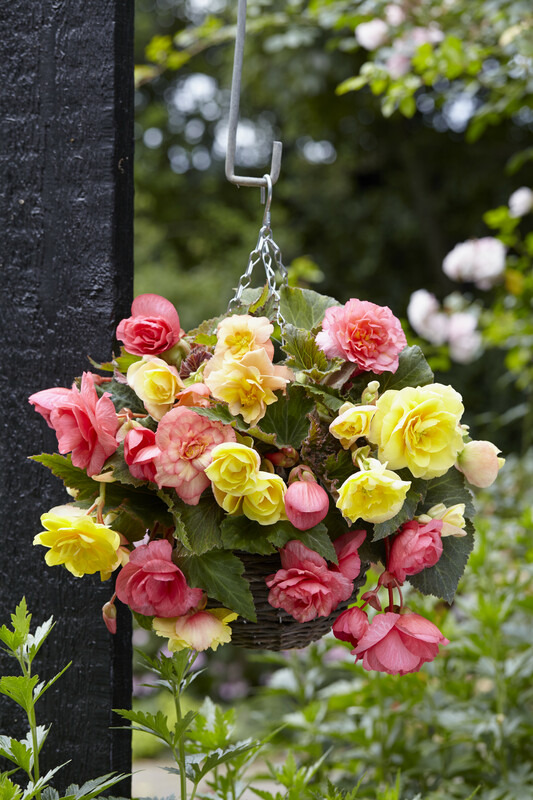 Keep the soil in the basket moist and fertilize your Begonias about once a month.